We are in the midst of what feels like a significant “moment” in the beer industry for craft lagers. Long viewed by the craft industry with outright derision, while breweries defined themselves by their diametric opposition to “fizzy yellow beer,” it’s been a revival that has developed slowly over the last decade. It wasn’t all that long ago that craft breweries even daring to produce a hop-forward Czech pilsner were seen as something of an oddity. Today, they’re everywhere. In fact, the most notable craft beer industry trend of late 2017 and early 2018 may in fact be the rise of craft-made “light lagers,” which have been proliferating wildly, seeking some small chunk of the market controlled almost 100% in the U.S. by AB InBev and MillerCoors. It would have been difficult to imagine five years ago that a brewery like Founders would be trying to compete against Anheuser by selling 24-packs of light lager for $17.99, but that’s where we now find ourselves. Even the official MillerCoors blog is writing about the phenomenon, although they make sure to subtly imply that the effort is a futile one. The bottom line, though, is that lager styles in general have become easier over time to sell to a craft beer audience. Through education at the taproom level, beer drinkers are increasingly coming to appreciate the subtleties of various lager styles, which are all so often marked by slight rather than bombastic deviations from beer to beer. On some level, lagers are doing hard work to reclaim the acuity of the American beer drinker’s palate, while providing an alternative to the latest double dry-hopped IPA. Still, even though lagers have come a long way, you don’t often see a brewery that has embraced them as widely, and with as much passion, as Atlanta’s Arches Brewing. More specifically located south of the city in Hapeville, Georgia, only minutes from the world’s busiest airport, Arches has been focused intently on the art of the lager ever since they first opened in April of 2016. Seeing a niche in the market that wouldn’t involve competing against every brewery producing popular IPAs and kettle sours, Arches instead chose from the very beginning to make lagers central to their identity, starting with their flagship brew, Unseasonal. Numerous other lager styles have followed, from Vienna lager and bock to dunkel, baltic porter and imperial pilsner. And it’s not as if Arches doesn’t make any ales—it’s just that you can always be sure of finding some lagers on the menu. They even drilled their own well in order to have access to an unchanging supply of water with a mineral profile they can then alter to their needs for every lager. In 2018, the brewery is taking that program even further with a new series dubbed “Lager Lab.” Designed to be released throughout the year, Lager Lab beers are intended to tackle ever more obscure and subtle lager styles, while educating the customer base and building greater appreciation for the art of a well-made lager. The first Lager Lab beer, Triboulet, is described by the brewery as a lightly hazy India Pale Lager (IPL) that “aims to satisfy both hop lovers and lager enthusiasts alike.” It will make its debut at the brewery’s second anniversary party on April 14, with future Lager Lab releases to follow in the coming months. Given that we at Paste think this is an objective worth pursuing, we recently sat down with Arches co-founder Ryan Fogelgren and brewmaster Jamey Adams for a conversation on all things bottom-fermented—accompanied, of course, by half a dozen different lager styles. Paste: Obviously it’s significant that you’re launching Lager Lab as its own series, but you guys have always produced way more lagers than most craft breweries, from the time you first opened. What role were you expecting/hoping them to play for Arches? Jamey Adams: From the beginning, the idea was to have a seasonal lager series so we would always have some available. Being a drinker, I’m personally a very seasonal drinker, and I was very seasonal as a homebrewer as well. I love to pick what I know I would want to drink three or four months ahead, which is key when you’re making lagers. For me, it was a way for Arches to have lagers all year round, but not start with so many at once because that would be very difficult with the yeast and tank time. Paste: Which is why there have been so many “quasi-lagers” on the market. Adams: Right, the pseudo pilsners, or baltic porters that are actually ales. We’ve seen plenty of both. We always wanted to showcase real lagers, but our challenge was finding out how to do that on a small scale. To start, that meant the seasonal lagers, with our flagship “Unseasonal” as the one year-round staple. Paste: Unseasonal is obviously an unusual lager in a few ways. It’s amber in color, and there’s a wonderful combination of hop notes and slight nuttiness there. It’s a bit hard to classify. Ryan Fogelgren: It’s meant to be. Unseasonal is a hybrid between a European lager and an American lager, with a custom water profile for this beer. It’s all American malt, but Bavarian yeast and noble hops. Adams: The big thing with that beer is that it’s decocted. The malt is almost 100% base malt, just two row, but it gets the color from decoction, which pulls out a portion of the grains and boils them for up to 45 minutes. During that boiling process, they’re changing colors and pulling out flavors from the husks themselves that you wouldn’t get any other way. If we didn’t decoct that beer it would be light and straw colored. It’s pretty much impossible to recreate that specific flavor any other way, but it makes Unseasonal take twice as long to brew as it would otherwise. Paste: At the same time, you stayed far away from IPA during your first year. Why not do both? Adams: I would ask everyone when we were doing brewery tours, “If we had an IPA, where would it fall on your list of beers to try, if you had six tokens?” And most people would say “First one; I’d start with the IPA.” And I’d say “That’s why we don’t have one.” When we finally did create an IPA, I designed it to be something that wouldn’t blow out your palate, so that you’d still be able to taste Unseasonal. We wanted to be able to educate our local customers about some of the more subtle beers before we made anything like IPA. I’m not going to spend six weeks making Unseasonal, just to see the customer take a sip of a two-week beer and then not be able to appreciate what we’re trying to do with Unseasonal. 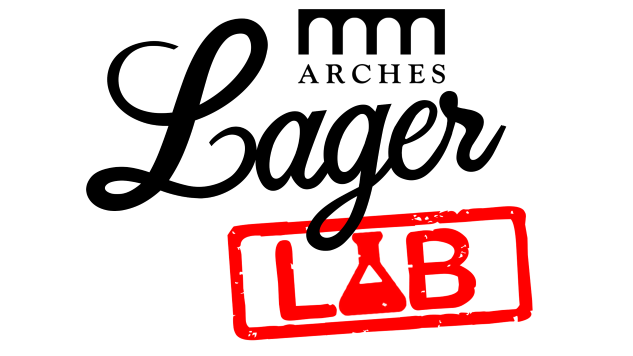 Paste: What will differentiate releases in the Lager Lab series from the craft lagers you’re already making? Fogelgren: It’s a reinforcement of what we started with from the beginning, but there’s two parts to it. One is that Lager Lab will focus on styles that you might not find as often in the beer market today. I think the intention of the Lager Lab is to unearth some of these styles that you might not necessarily see as often, like say kellerbier or Munich helles, or dortmunder, or even an IPL, which aren’t well represented in our market. The other part is to give our brewing team something creative to express themselves from a brewing standpoint and also maybe use some old-school techniques—such as decoction—to create flavor profiles we’ve never explored before. Our regular seasonal lagers may go into cans some day, whereas I think Lager Lab will be more of an experimental lager program. Paste: Wouldn’t you say that drinkers are already as familiar with a concept like “helles” as they are “dunkel,” though? Adams: Ah, but you have to consider though that there’s such thing as a Dortmunder Helles and a Munich Helles, right? The devil’s in the details, and the series is about those subtleties. For example, our pilsner Bohemian Riot is basically a North German pilsner, but built on a Czech water profile, because I just feel like the Czech water profile treats pils a little bit better than the alternative, which leaves it a little bit too sweet and malty. Paste: How successful do you feel that industry-wide education has been? How different is the landscape now, in terms of the drinker’s knowledge of lagers, than it was when you opened in 2016? Fogelgren: It’s certainly noticeable. I think we both agree that it’s evident every day at the brewery or the accounts, when we’re talking with people about beer. I think the perception of lager as cheaper or somehow “less than” is waning, as you see regional craft breweries introducing more lager beer styles. I’ll tell you this, one place we definitely see it is among the professional brewers. When we bring our beer to other breweries, it’s the Unseasonal and other lagers that the brewers immediately grab. I feel like a lot of these brewers are yearning for this wave to come, and that’s part of why it feels like a major moment for lager styles in the craft community. Paste: You hit there on something that must be one of the major challenges: The fact that to many craft beer drinkers, there’s an ingrained idea that lagers are somehow cheaper and not worth paying much for, when in reality they can often be more expensive to produce. How do you deal with that perception? Fogelgren: We’ve taken this route as a craft brewery in trying to brand craft lagers as “a process” in which we can educate people that these beers do take twice as long to make, and they do have subtleties that your palate may have to learn to appreciate if you’ve only been drinking really intense ales. From my perspective, everybody has this craft beer journey, where they tend to start out with cheap beer and build their way up the spectrum drinking a bunch of IPAs or barrel-aged beers or sours, but then they finally get to that point where they say “you know what, I’ve had all those and they’re great, but now I want to have something easy drinking and accessible but still complex and subtle,” and that’s where the lagers come in. Adams: Well, we had the advantage of starting the business on the lager cycle and planning some tank time for them from the beginning. Fogelgren: It would be hard for anyone to make the switch to suddenly doing primarily lagers, but most breweries could at least start with one or two. Take a style that’s not doing so well and devote that tank time to lagers. You might end up being glad that you did. Jim Vorel is a Paste staff writer who wishes that Munich dunkels were more commonly available at beer bars. You can follow him on Twitter.